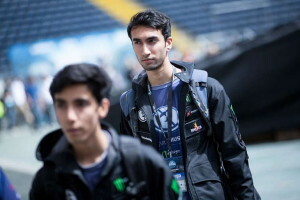 DotaBlast talked to Saahil “UNiVeRsE” Arora about EG’s preparations for the upcoming Shanghai Major, the issues both him and his teammates want to improve on, and their goal of winning two TIs in a row. UNiVeRsE discussed his family, school years and passion for chess and tennis growing up, and reflected on his personal and professional aspirations. The UNiVeRsE interview was conducted by Andra Ciubotaru, on February 13th. Illustration by Ciprian Vlaicu for DotaBlast. DotaBlast: Less than two weeks before the Shanghai Major. How’s training going? Saahil “UNiVeRsE” Arora: Training is going pretty well, we’re just playing way too much, around 8-10 hours a day. Everyone’s playing a lot of pubs. We’ve just started scrimming recently. DotaBlast: When are you guys flying out? Saahil “UNiVeRsE” Arora: We’re flying out on February 21st. DotaBlast: That will give you a couple of days to settle in. Saahil “UNiVeRsE” Arora: Yes, we’re trying to get there three or four days before the event starts to get over jet lag and maybe play some practice games there. DotaBlast: Your teammates and your manager said more than once that you guys are going for back to back TIs – you want to win two in a row. 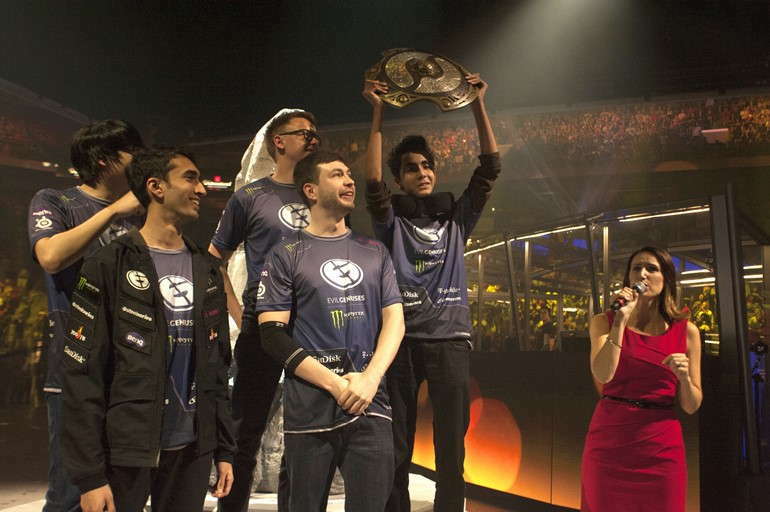 If The International 6 happened in two weeks’ time, do you think you’d win it? Saahil “UNiVeRsE” Arora: I think we’d have a very good shot. Saying for sure whether we would win or not is kind of hard, because there’s always some wrench that happens in these tournaments – you never know what’s going to happen. So, I think we’d have a very good shot. I don’t think we would win for sure, but we’d have a very good shot. Our team’s biggest struggle is team unity and just being on the same page. DotaBlast: What would you say is your team’s biggest struggle right now? What do you need to improve on? Saahil “UNiVeRsE” Arora: Our team’s biggest struggle is team unity and just being on the same page. I think we’re all individually pretty talented and good at our roles, we just have to find a way to work together and make it all fit. DotaBlast: You’ve played over 1,000 official games. 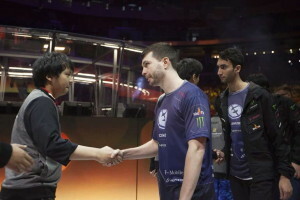 I’m pretty sure that – out of those over 1,000 games – you’ll never forget the game that won you the TI5 championship title and that blind leap of faith that has become widely known as the 6 million dollar Echo Slam. But which game out of those over 1,000 was your most memorable loss, the loss you’ll never forget? 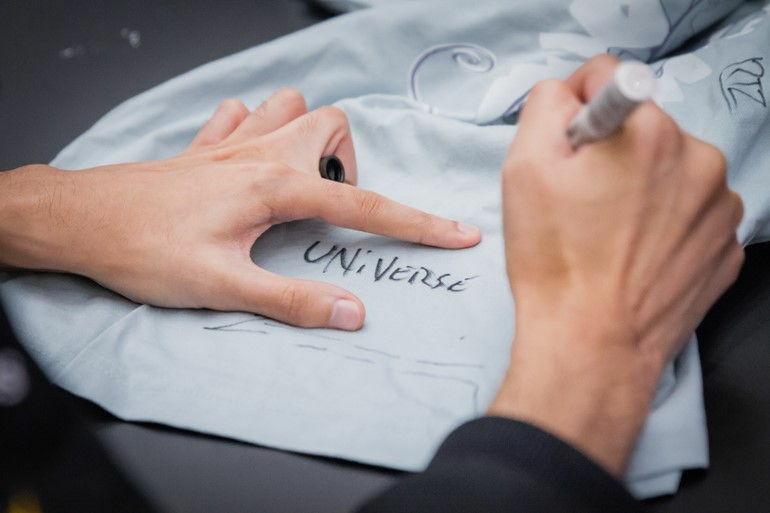 Saahil “UNiVeRsE” Arora: Oh! My toughest loss goes back a little bit. 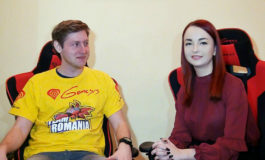 I was playing at the third International, I was on Team Dignitas, and we were playing against – oh, man – it was a Chinese team – I think it was LGD – in the Lower Brackets. I was playing Alchemist and that was probably my biggest loss. It really made me feel quite sad and I knew that I had to come back next year and give a better performance. DotaBlast: How has your life changed after winning The International? I know you’ve been asked before and I know it’s a rather cliché question, but there must have been some changes, right? Saahil “UNiVeRsE” Arora: No, not really, to be honest! It’s more of the same. Maybe I’ve gone shopping a couple of more times than I would have if I hadn’t won, but other than that, it’s more of the same. We just want to win another one, so we don’t want to get too caught up with the money. DotaBlast: It might look like you’re set financially. Are you handling your finances yourself or do you have specialized help? Saahil “UNiVeRsE” Arora: I have help, I’m not doing it myself. I contacted some financial advisers on how to invest properly and I have an accountant who handles my return every year. DotaBlast: Has anything changed in the way you look at money now? Saahil “UNiVeRsE” Arora: Yes, I would say it has. Before, you’re always thinking about whether you’ll be set in the long run. This money doesn’t necessarily mean that you’re set for the rest of your life, but it’s still a good amount of money that puts you at ease more than before. DotaBlast: What’s the most expensive thing you’ve bought for yourself after winning The International? Saahil “UNiVeRsE” Arora: (laughs) You know, I haven’t really bought anything. I bought a pair of shoes. That’s probably the most expensive thing I bought. DotaBlast: Really? A pair of shoes, that’s all? Saahil “UNiVeRsE” Arora: (laughs) Yes. I think it was around 100 bucks. DotaBlast: Are you involved in the business side of things at all, at EG? Saahil “UNiVeRsE” Arora: No, I haven’t been involved so far. It might change soon, but I’m still not sure about the details of that yet. Lately, I guess I’ve had issues with getting titled – I don’t know if that comes across. I’ve been trying to not let things affect me as much. DotaBlast: What’s the next skill or knowledge set you want to master in order to better yourself as a player? Saahil “UNiVeRsE” Arora: It’s kind of a hard question. I don’t really think about individual stuff like that, I’m just trying to get better overall, as a player. Lately, I guess I’ve had issues with getting titled – I don’t know if that comes across. I’ve been trying to not let things affect me as much. DotaBlast: What about bettering yourself as a human being? Saahil “UNiVeRsE” Arora: (laughs) I’ve been trying to go to the gym, but Dota always makes that hard. When you’re playing as much as we do, it’s really hard to do stuff that you want to do regularly. DotaBlast: What would you say is the most rewarding thing about your job? What makes it all worthwhile? Saahil “UNiVeRsE” Arora: The most rewarding thing is that you get to do something that you really enjoy doing. If I went to school and then just did some job that you can get after going to school, I don’t think it would’ve been as rewarding as this, because I wouldn’t be doing something that I truly care about. It’s pretty rewarding when you give something your all and you see results. DotaBlast: Do you remember the time when you realized that Dota 2 might turn into an actual career for you? 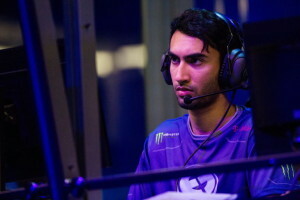 Saahil “UNiVeRsE” Arora: I think it was after the third International, when I teamed up with Fear and joined EG. That’s when I first thought it was possible that it became a career for me. I still wasn’t sure – obviously, results had to come first – but at that point I knew it was a possibility. DotaBlast: What advice would you give to players who are struggling right now? Saahil “UNiVeRsE” Arora: It’s not for everybody. This is a hard profession – there’s a lot of stress involved – but if you really want to do it, you have to give it your 100%. If you’re not giving enough effort, then you should give more! DotaBlast: You’ve mentioned stress. What causes you anxiety? 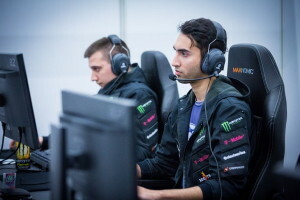 Saahil “UNiVeRsE” Arora: Whenever there’s competition, there’s always stress involved – people fighting for the same slot, everyone wants to get first place, everyone wants to win The International. DotaBlast: Only at The International or during other tournaments as well? Saahil “UNiVeRsE” Arora: All tournaments, but there’s always more stress at The International, because it’s the biggest event that happens every year. However, there’s always a bit of stress involved at every event. I look at social media and I see a lot of people saying their opinions about all kinds of stuff. A lot of the times it’s unnecessary. I think people should just keep their opinions to themselves, most of the time. DotaBlast: You’ve never been the vocal, opinionated type. You once said you’re underrated because you don’t do a lot of social media stuff, so people don’t know a lot about you. Why are you so low key? Saahil “UNiVeRsE” Arora: I don’t know. I look at social media and I see a lot of people saying their opinions about all kinds of stuff. A lot of the times it’s unnecessary. I think people should just keep their opinions to themselves, most of the time. At least that’s what I think. DotaBlast: How were you as a child? Saahil “UNiVeRsE” Arora: I had a pretty happy childhood, pretty low key. I grew up in Wisconsin – it’s a Midwest state in the US. I had a pretty normal childhood, nothing too exciting happening. DotaBlast: Do you have any siblings? Saahil “UNiVeRsE” Arora: Yes, I have a sister. She’s about seven years older than me. DotaBlast: What does she do? Saahil “UNiVeRsE” Arora: She’s a dentist and she lives in Michigan with her husband and two sons. DotaBlast: What about your parents? How do they feel about your gaming career? Saahil “UNiVeRsE” Arora: At the beginning, they weren’t always so supportive. At one point I was playing StarCraft. I was playing it a lot when I was in highschool, and my mom even took my CD one time and hid it from me. So, I couldn’t play for a couple of days, but then she actually gave it back to me. They weren’t always so nice about it. Lately, they’ve been pretty supportive and they’ve been watching my games. DotaBlast: As a child, what did you want to do when you grew up? Saahil “UNiVeRsE” Arora: I probably wanted to become either a doctor, or something to do with space. DotaBlast: You were very passionate about astronomy. Saahil “UNiVeRsE” Arora: Yes, I was. That’s something that always interested me, so it was either that or become a doctor. But once I got into school I realized that I didn’t really enjoy school all that much. (laughs) So, becoming a doctor would’ve been pretty tough for me. DotaBlast: I know you played tennis in the Madison Memorial team. How did you take an interest in it? Saahil “UNiVeRsE” Arora: No one’s asked me about that before. It was my dad that first introduced me to tennis. He used to take me out to the court, he played with me and he wanted me to play tennis in highschool, so that’s how I got introduced to it. DotaBlast: Were you any good? Saahil “UNiVeRsE” Arora: I was the captain of my team the last two years I was in highschool. I was okay, I guess. DotaBlast: We found a picture of you on the tennis court. Your hair was a lot longer. 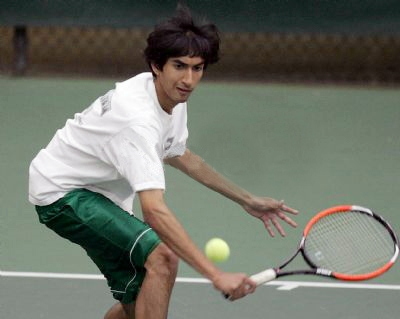 Saahil “UNiVeRsE” Arora: (laughs) Yes, my hair used to be pretty crazy. I didn’t get haircuts that often back then. DotaBlast: Do you still watch tennis? Saahil “UNiVeRsE” Arora: Not so much anymore. Back then I used to watch it a ton. DotaBlast: But you do have a favorite player, right? Saahil “UNiVeRsE” Arora: Yes. I used to like Marat Safin. I liked watching Djokovic play, I also liked Federer when he was in his prime. The reason I liked Marat Safin is because I was watching him one time – I think he was playing the Australian Open – and he won that Grand Slam, he made it all the way from the bottom to the top. I remember thinking that he was going to win all the way through. That’s why I like him so much. I really liked playing chess, it was one of the first games I ever played. I participated in one tournament, in Madison, and I won. It was like a sixth grade chess championship in the city and I won that one, but I never really continued with it throughout highschool, I’m not sure why. DotaBlast: You also played a bit of chess, right? Saahil “UNiVeRsE” Arora: That’s right as well! (laughs) How did you know that I played chess? No one knows that. My dad introduced me to the game and he used to play with me before. I really liked playing chess, it was one of the first games I ever played. I participated in one tournament, in Madison, and I won. It was like a sixth grade chess championship in the city and I won that one, but I never really continued with it throughout highschool, I’m not sure why. DotaBlast: Did it start to get boring? 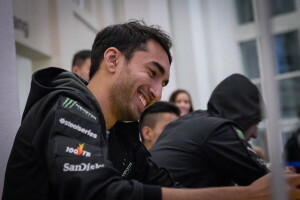 Saahil “UNiVeRsE” Arora: I guess it didn’t hold my interest as much as before, and back then I didn’t like working that hard for things, so I started playing people who were better than me – people who had studied the game more – I started losing and I didn’t like that, so I stopped playing. DotaBlast: You’ve mentioned your dad a couple of times. He sounds like such an inspiration! Saahil “UNiVeRsE” Arora: I admire him for the kind of person he is. I think he was probably a bit too forceful with making me do stuff that I maybe didn’t want to do, like tennis and some other things. But he’s a role model for me, for sure. DotaBlast: Is he happy with what you’ve accomplished so far? Saahil “UNiVeRsE” Arora: I don’t talk to him all that much, but I think he’s happy for me. I don’t think this is his first choice for my career, but I think he’s happy that I found something. DotaBlast: You took a break from college where you were studying Computer Science. Do you see yourself going back and continuing your studies in the near future? Saahil “UNiVeRsE” Arora: If it can be avoided, I would not like to go back. (laughs) If I feel like I have to do it, I’ll go back. DotaBlast: What would have to happen for you to go back to college? 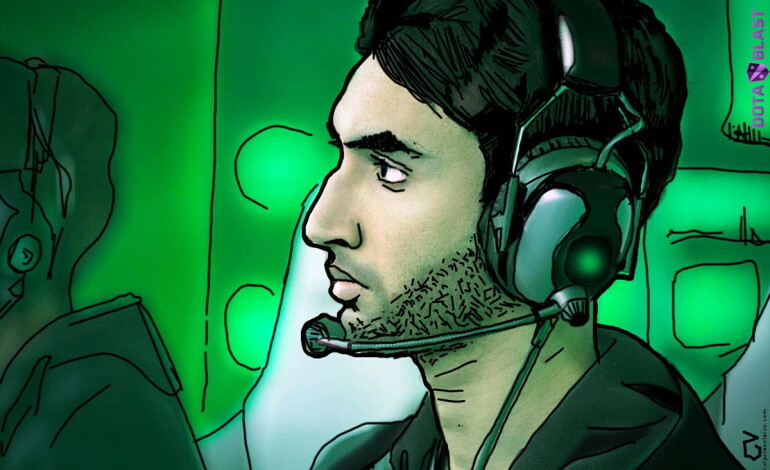 Saahil “UNiVeRsE” Arora: If I weren’t able to find a job in the esports scene or in Dota – something that I enjoy doing – then I’d probably go back. DotaBlast: What kind of a job? Are you considering coaching, casting? Saahil “UNiVeRsE” Arora: Coaching, casting, or something on the business side of things. I’ll have to see. Professionally, I would like to win more TIs. That’s my number one goal. When I’m done playing, I’d like to be known as the best offlaner that has ever played. I want people to look back and say that there’s no question about who was the best offlaner during the time I played. DotaBlast: What do you plan to have accomplished in 10 years’ time, both personally and professionally? Saahil “UNiVeRsE” Arora: Professionally, I would like to win more TIs. That’s my number one goal. When I’m done playing, I’d like to be known as the best offlaner that has ever played. I want people to look back and say that there’s no question about who was the best offlaner during the time I played. Personally, I’d like to get settled down a little bit, maybe go on a couple of vacations here and there, travel. I know we travel a lot playing, but we don’t actually travel – we just go there and go to the LAN venue, we don’t get to see the actual place. I’d like to go maybe to Italy or some other nice place and take some time off. DotaBlast: We’re talking about 10 years from now. Do you see yourself married with children, perhaps? Saahil “UNiVeRsE” Arora: (laughs) I still have to think about that. I’m not sure whether I want kids or not. Saahil “UNiVeRsE” Arora: I just don’t know. I’ve been around kids a bit now, with my sister’s kids, and I’ve seen how hard it can be to raise them. They’re a handful and I don’t know if I’m cut out for that, but we’ll see. In terms of marriage, that’s fine, whatever happens, happens. But kids are definitely something that I’d have to think about before deciding. 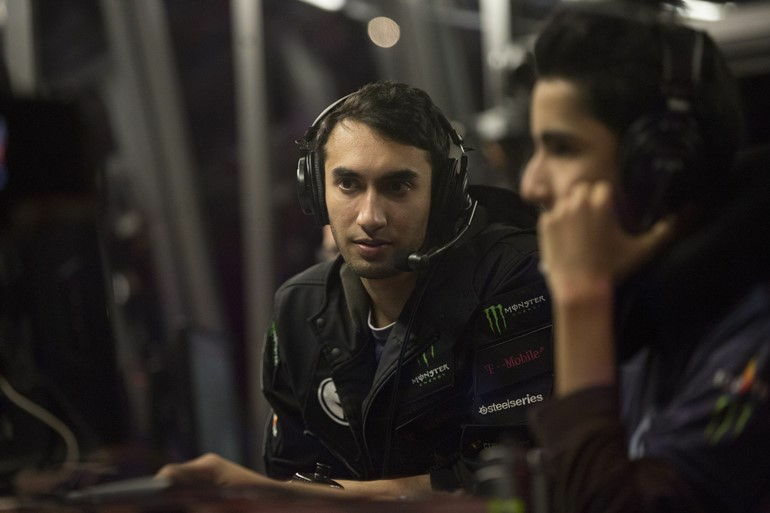 DotaBlast: Thank you, Saahil, best of luck in Shanghai! Saahil “UNiVeRsE” Arora: Thank you, you too! Good research by the interviewer! This chick should be a private investigator or smth, haha. Great content!